Last week, Missy Elliott revealed that she was about to get back into the studio and begin working on new music with Timbaland, which to no surprise, got everyone excited. 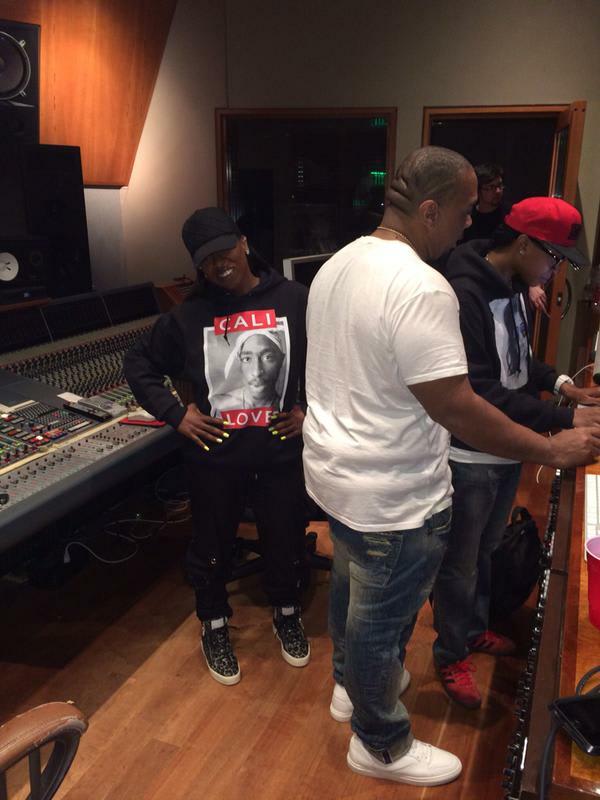 Fast forward to last night, when Missy took to her Twitter to share a picture of her and Timbo in the studio with the caption, "Me & Timbaland bk 2 the drawing board studio dirty beats." No word on exactly what Missy and Timbo are working on, but if it is an album, it would be her first since 2005&apos;s The Cookbook. While the world waits on that, it does appear that we&apos;re going to get some new music from Missy rather soon via the upcoming remix of Jack Ü&apos;s "Take Ü There," which Diplo shared a preview of on his Instagram.